Anna Elliott wanted to get away. But an alien spaceship was not on the itinerary. All Anna needed was a calm, relaxing vacation. Instead, she finds herself enslaved aboard an alien spacecraft and forced to help an injured prisoner--a huge, golden-skinned warrior. Even wounded, he arouses her in ways she's never known. But if he dies, so does she. Jakkar is a Sardoran mercenary searching desperately for a new planet to replace his dying home world. He never expected to be injured, captured, and then shipwrecked. Forbidden to mate outside his species, he can't help but be tempted by Anna's curvy body and her caring heart. Now he's responsible for the small group of survivors--and the luscious little human he's determined to claim as his own. 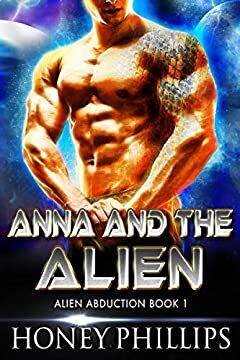 Each book in the Alien Abduction series features a different couple and can be enjoyed as a standalone romance. For readers 18 years and older.